The famous French conjuror Robert Houdin wittily observed that "...the wand is to the conjuror what a fan is to a lady - it gives ease to his movements, and saves him from the well-known stage bugbear, the consciousness of possessing arms, and not knowing what to do with them." Apart from lending an air of mystery to the proceedings, the wand helps the magician palm an object, and misdirect the viewer's attention. Also, when an object is to be made to appear or disappear or be magically transformed, the wand seemingly creates the effect by being touched to the object or waved in its direction. As a symbol of magic nothing is more endearing than the wand. The origin of this 'tool', this mystical stick, is cloaked in antiquity. 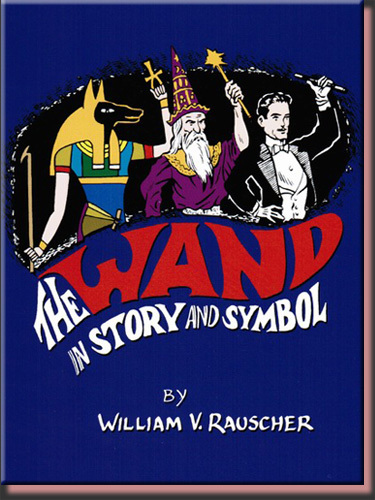 The author presents in this 43-page publication with 35 photos and illustrations, a historical overview of the history and use of the magic wand. This book is an inquiry into the origins, meaning and mystery of the magic wand. Color Cover 43 pages 35 photos and illustrations.